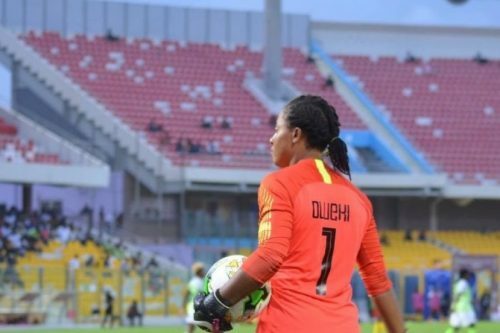 Super Falcons goalkeeper Tochukwu Oluehi has expressed delight with the world cup program the NFF had in store for the Nigeria women national team as the team begin their participation in the invitational tour of China later today. The Rivers Angels shot-stopper said in a chat with www.brila.net that the world cup preparatory program set out for the team will help the Nigeria women national team adequately prepared and toughened for the challenges of playing at this summer’s world cup in France. Tochukwu praised the NFF for the timeliness of their world cup preparation and stressed that the more time the girls spend together the better for the team as well.